Niigata Prefectural Museum of History. One of the core research strands of the Institute is Japanese Archaeology and Heritage. On this edition of our e-magazine, we would like to introduce to you one of the leading Japanese museums in this area. This piece was written by Miyao Toru, Curator at the Niigata Prefectural Museum of History. Miyao-san first visited the UK in 1995 as part of the first tour of UK archaeology for Japanese archaeologists organized by Professor Kobayashi Tatsuo (now our Senior Advisor for Archaeology) and Simon Kaner (now Head of our Centre for Archaeology and Heritage). Since then, Miyao-san has helped facilitate a number of research initiatives in partnership with the Sainsbury Institute, including the Shinano River Project and exhibitions of dogu figurines and Flame pots, and has been a regular visitor to Norwich over the years. The Niigata Prefectural Museum of History is an exceptional museum combining the best in contemporary museum design with an outstanding collection of archaeological, historical and ethnological materials. It has an excellent programme of temporary exhibitions and has pioneered innovative outreach activities and experimental research. A visit to the Museum allows the visitor to walk through a Jomon village, to experience the rigours of life in the Snow Country (five metres of snow can accumulate in the mountainous regions of the prefecture), to appreciate the infrastructure needed to support the multi-billion pound rice industry that produced the most delicious sake and rice in Japan, and to wonder at the Flame pots and the processions that took gold and silver from Sado the capital at Edo. It was one of the highlights for the participants in the 2012 tour of Japanese archaeology led by Simon Kaner on behalf of Andante Travel. The Niigata Prefectural Museum is a relatively young institution, which opened on 1st August 2000. It is located in Nagaoka city, the former prefectural capital situated in central Niigata, and is funded by the Niigata prefectural government on the initiative of the prefectural and local Japanese governing bodies. 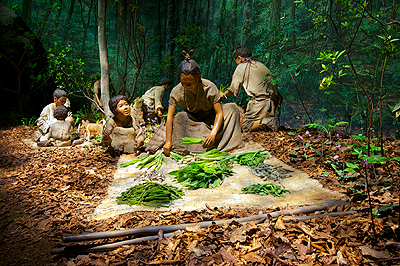 Although the collection is relatively small, at around 50,000 objects, the museum’s unique feature is the way it tells the story of the history and culture of Niigata prefecture through life-size models based on historical, anthropological and archaeological research, rather than by just showcasing its collection. From 1968 onwards, 100 years after the Meiji restoration, many prefectures founded museums, but owing to financial constraints Niigata was one of the few that did not do so. At the time the prefecture had only a combination of private museums and a few small museums dedicated to local towns, cities and villages; this was despite calls for a prefectural museum narrating the local history from Niigata historians, anthropologists, archaeologists and other research and cultural heritage interest groups. Life in the Jomon period: spring. Change came with Japanese economic growth during the second half of 1980s and the first half of 1990s. Buoyed by financial confidence, the prefecture confirmed plans for its own proper museum. Meanwhile Nagaoka city was seeking the prefecture’s support for a museum exhibiting flame pots and other important Jomon ceramics excavated from its Umadaka site, revealing the dynamic culture of the Jomon period (10,000-300BC) to which the history of Niigata is strongly anchored. So it was serendipitous that the Niigata Prefectural Museum of History was intended to celebrate the life and culture of Mesolithic and Neolithic Japan, collectively referred to as the Jomon culture. The idea of using models to evoke everyday life and the environment of the period was conceived by Professor Kobayashi Tatsuo (Professor Emeritus of Kokugakuin University), who is a Senior Advisor to our Institute and whose interview appeared in the last issue of our e-magazine. Professor Kobayashi’s plan was inspired by his experience as a Visiting Scholar at Cambridge University from 1994-1995, when he studied UK and European historic sites and museums. 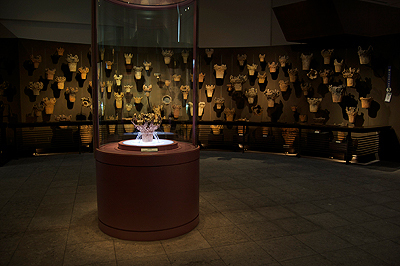 The permanent exhibition at the museum, which is a product of the inspiration that Professor Kobayashi gained during his time in Cambridge, is entitled ‘The World of the Jomon People’ . It explores what life would have been like 5000 years ago in the Jomon period over the four seasons. The Jomon village in autumn is specially designed to give visitors the impression of mingling with the Jomonites. 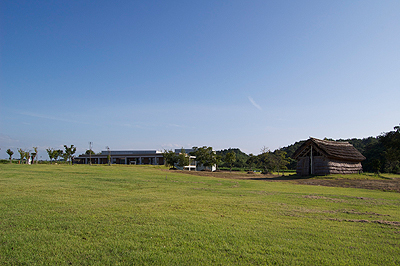 Umadaka, one of the largest sites of Jomon pottery. 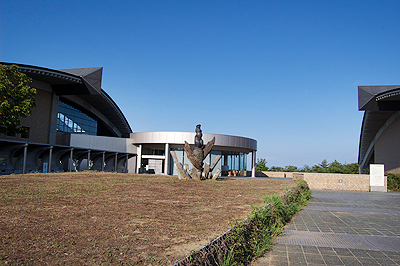 Since opening, the museum has built collaborative networks with Nagaoka City Science Museum, Umadaka Jomon Museum, Tokamachi Museum, and Najomon and Tsunan Town Museum, in addition to other national and international organizations. Furthermore, outside Japan, the Niigata Prefectural Museum of History is a long-term partner of the Sainsbury Institute in Japanese archaeological research. The dialogue through joint research has helped to evolve comparative studies between the archaeologies of Japan and the west. Recent collaborations include facilitating the loan of two highly prized decorative prehistoric pots from ancient Japan for the Asahi Rooms exhibition at the British Museum in 2012. These Jomon period ‘flame’ and ‘water’ pots dated to some 5000 and 7000 years ago come from one of the oldest ceramic making cultures in the world and display remarkable aesthetics and technical feat. This exhibition was visited by over 112,000 people, the largest number of audience ever recorded for the Asahi Room exhibitions. Professor Nicole Rousmaniere and Dr Simon Kaner who helped negotiate the loan, visited Niigata Museum this summer amidst stifling heat to give lectures and be engaged in educational events that took place at the Museum. You can read more on their engagement in Niigata in another article written by Dr Kaner in this edition titled Institute Abroad. Open Tuesday to Sunday (Closed Mondays, New Years Eve and Day, and Tuesdays following National Holidays falling on Monday).